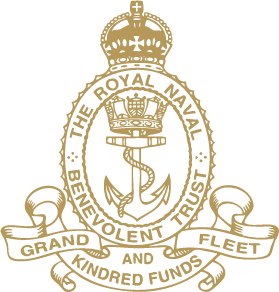 Originally established as the Grand Fleet Fund by Admiral Jellicoe, The RNBT has grown into the major naval benevolence charity which now spends over £5 million each year to help past and present sailors, Royal Marines and their dependants. 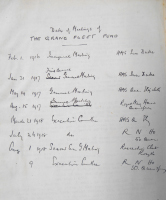 Inaugural meeting of the Grand Fleet Fund onboard HMS IRON DUKE ‘on behalf of Petty Officers and Men wounded and incapacitated during the War.’ Funds received: £861 12s 3d, including a donation of £50 from Admiral Jellicoe. 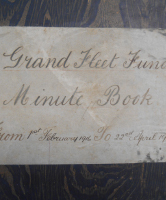 As there were ‘funds accumulated in various ways during the late War’, the Admiralty decided to create a single benevolence charity for all ‘Non-Commissioned Officers or other ratings in Our Naval Forces’. 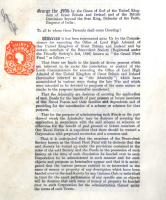 Formation of ‘The Royal Naval Benevolent Trust (Grand Fleet and Kindred Funds)’ by Royal Charter. 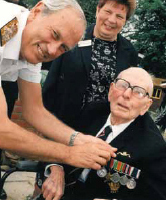 Proceeds of premiere of ‘In Which We Serve’ donated to RNBT. 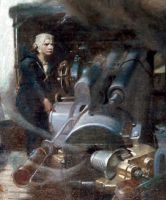 Second World War casualties estimated as 45,775 ratings killed, some 130,000 injured. Pembroke House, formerly a naval children’s home, opened as a Care Home for elderly beneficiaries, initially for 30 residents in 4 or 5-berth rooms. 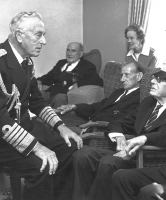 Castaway House opened by Admiral Sir Jock Slater. Formerly the RN Motoring School, this building was originally used by the Portsmouth Committee, but in 1995 the headquarters of RNBT moved from Gillingham to Castaway House in Portsmouth. 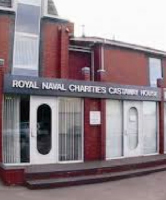 The building is now shared with other Naval charities. Pembroke House officially re-opened by the First Sea Lord, Admiral Sir Michael Boyce, following modernisation, with full en-suite rooms offering facilities for both male and female beneficiaries, and widening the provision to include Nursing. 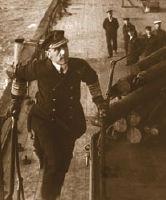 RNBT assumed responsibility for the John Cornwell VC Memorial Almshouse in Hornchurch, Essex, in memory of the posthumous award to the Boy Seaman who dies of his wounds after the Battle of Jutland in 1916 thus returning to RNBT’s origins as the Grand Fleet Fund. Major extension to Pembroke House completed and opened by HRHs the Earl and Countess of Wessex. The Home now offers Care and Nursing facilities for 55 residents to the highest modern standards.